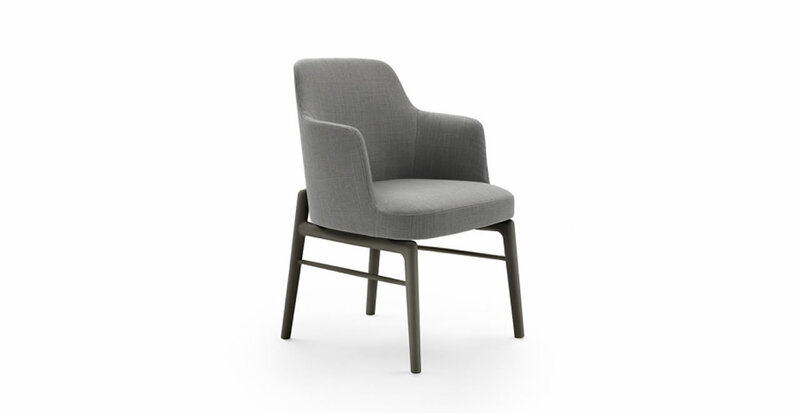 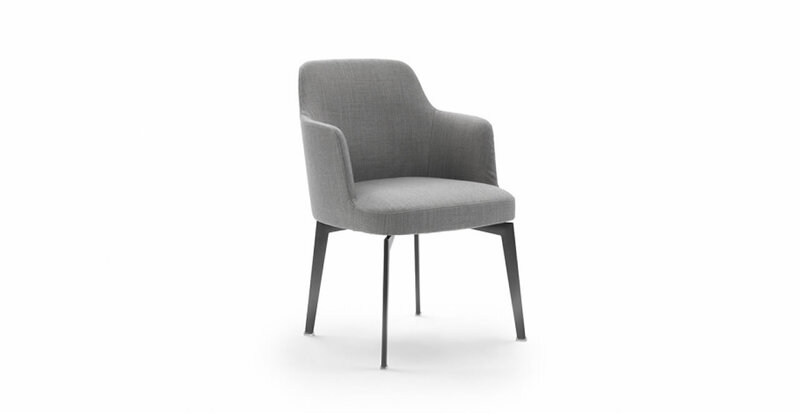 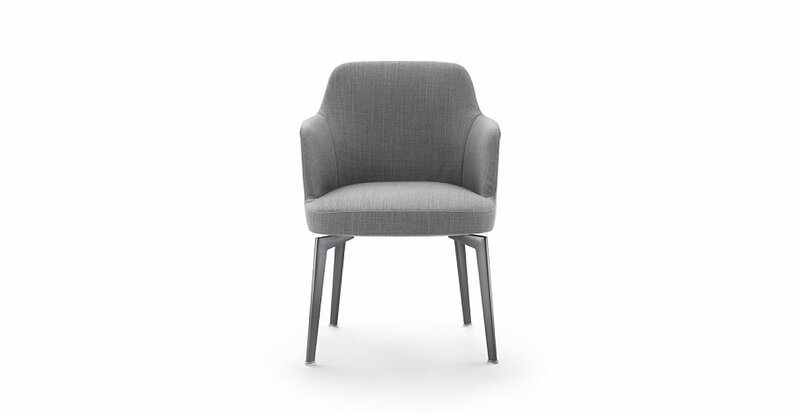 Hera is a family of armchairs and chairs that brilliantly combines ergonomics and elegance, specifically designed for use in domestic and hospitality settings like lounges, waiting rooms and restaurants. 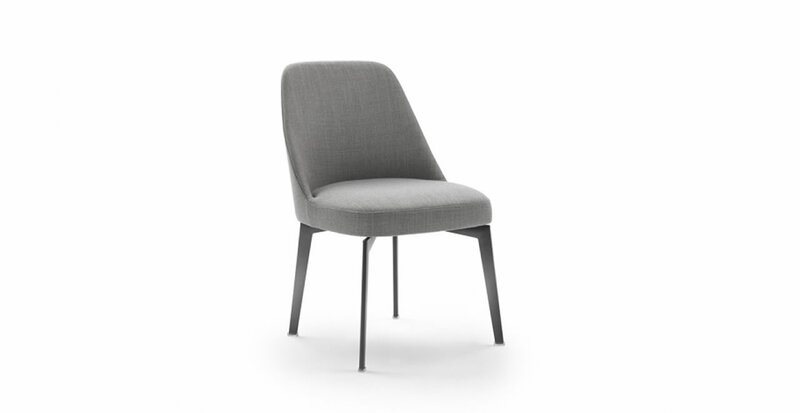 Thanks to a shell made of a special polymer, its construction is graceful and ensures premium comfort. 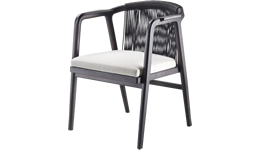 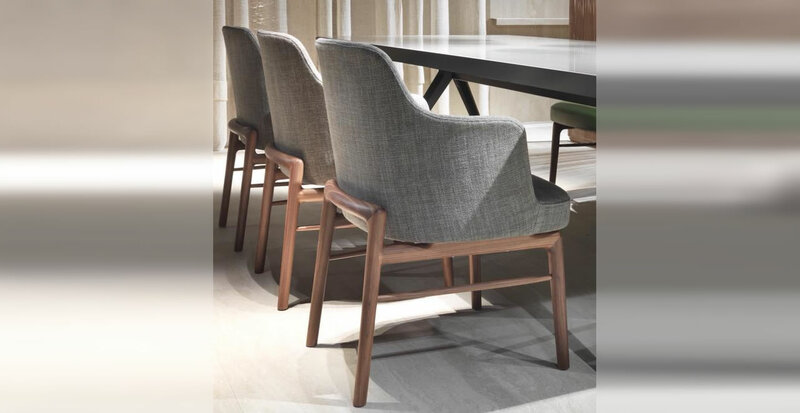 The Hera armchairs and chairs have completely removable upholstery and are available in two versions: with tapered, cast aluminum legs with satin, chromed, burnished, black chromed or champagne finish; or in solid Canaletto walnut or solid ash stained in a choice of shades.